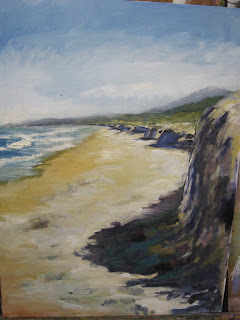 I am generally happy with the painting I do in the field. When I bring it home, it may look perfectly complete. More often, paintings need a bit of finishing off as they are too "raw" for general consumption.This is when I have the greatest mental torture with my work. Sometimes just a touch-up finishes the painting, more often I get bogged down in major changes and, as is my nature, overcook the painting. Its so hard to know when to stop. Having done more work on "Seven Mile Beach", here is the painting at a resting stage! 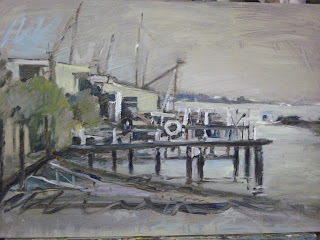 The painting which is below shows the initial stage, from a glorious location on the edge of Koriot Creek in Melbourne. 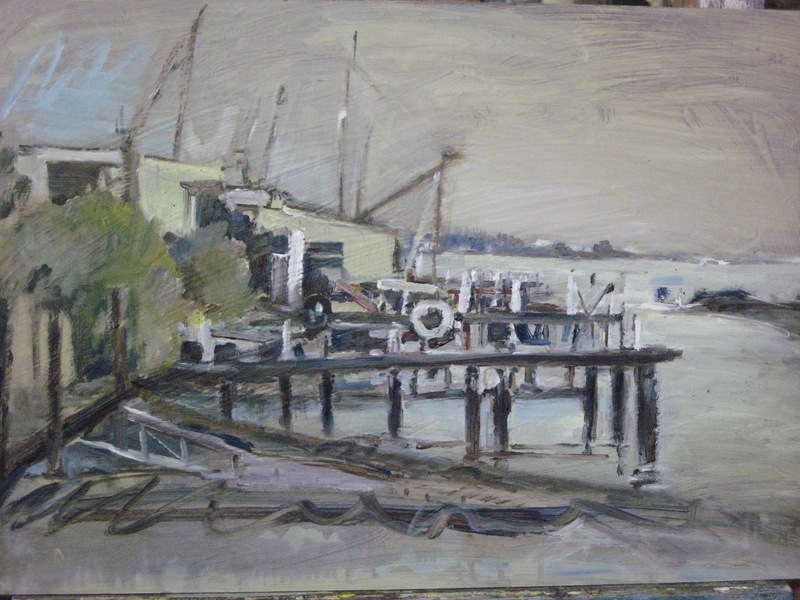 Peter was fishing, I was painting...BLISS! 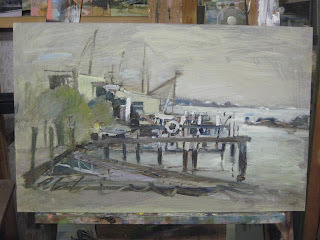 I have since done some work on "Angler's Rest", maybe more work to be done? Yes, I think it might be good to bring out the centre of interest a bit more,. The temptation to 'add a bit more' is an easy trap to fall into, finding the balance is the thing.